With over 15 years of experience, Tais Xavier has extensive project management experience leading architectural and interior design projects in the hospitality and multi-family housing sectors. Throughout her career she has focused in creating memorable places while meeting clients’ needs, goals, and budget. Her work begins with programming, designing the projects and developing construction documents while coordinating multi-disciplines, and overseeing construction administration. 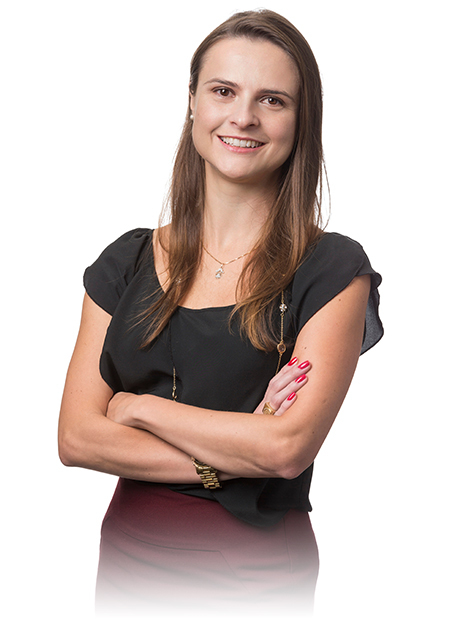 Tais holds a Bachelors of Architecture and Urban Planning from the University of Brasilia in Brazil and a Masters in Real Estate Development from the University of Maryland College Park where she received an Outstanding Award for her thesis. She is a registered architect in District of Columbia and Brazil, LEED Accredited Professional, NCARB Certificate, and active member of ULI Next program. Internally, she is a member of Hickok Cole’s Design and Education Committees and is looking forward to mentor the staff. In her free time Tais enjoys traveling, skiing and spending time with her friends and family. Her favorite trip to date was skiing the black diamonds in Telluride Colorado. She is always looking for opportunities to grow professionally and in personal life.